New arrival: Great moroccan brass table lamp, all handmade in Fes, Morocco. The artisans hand-cut the brass in an elaborate geometric pattern & design. Unique & elegant moorish blended in a contemporary design. 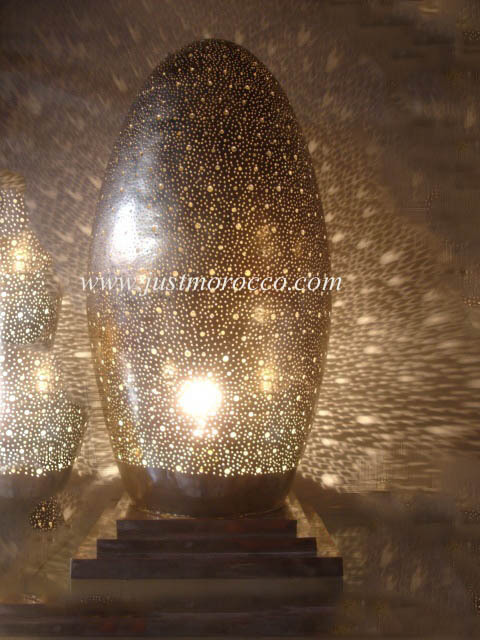 Artwork all around this lamp which will give a special tone to any place, A new moroccan lighting theme that gives the ambience to your home.